Bob Dillon can't get a break. A down-on-his-luck exterminator, all he wants is his own truck with a big fiberglass bug on top - and success with his radical new, environmentally friendly pest-killing technique. So Bob decides to advertise. Unfortunately, one of his flyers falls into the wrong hands. Marcel, a shady Frenchman, needs an assassin to handle a million-dollar hit, and he figures that Bob Dillon is his man. 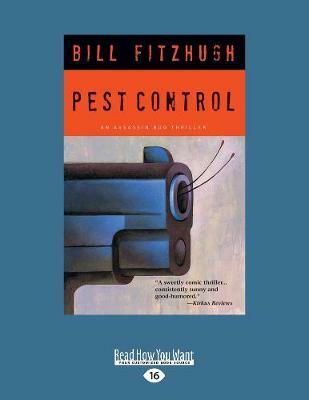 Through no fault - or participation - of his own, this unwitting pest controller from Queens has become a major player in the dangerous world of contract murder. And now Bob's running for his life through the wormiest sections of the Big Apple - one step ahead of a Bolivian executioner, a homicidal transvestite dwarf, meatheaded CIA agents, cabbies packing serious heat ...and the world's number-one hit man, who might just turn out to be the best friend Bob's got.